There's nothing that we like more in the Summer than opening up the French doors onto the patio and racing out into our perfectly south-facing garden to enjoy a day of fun and laughter, soaking up the vitamin D from the warming sunshine. Whether it's playing badminton (and hoping the wind doesn't blow the shuttlecock into next door's hedge), using the climbing frame as a goal, helping daddy to fix play equipment, playing in the mud-kitchen, getting the sprinkler out, eating a refreshing lolly or using the leftover stick to help plant seeds, there is an abundance of entertainment in a garden. 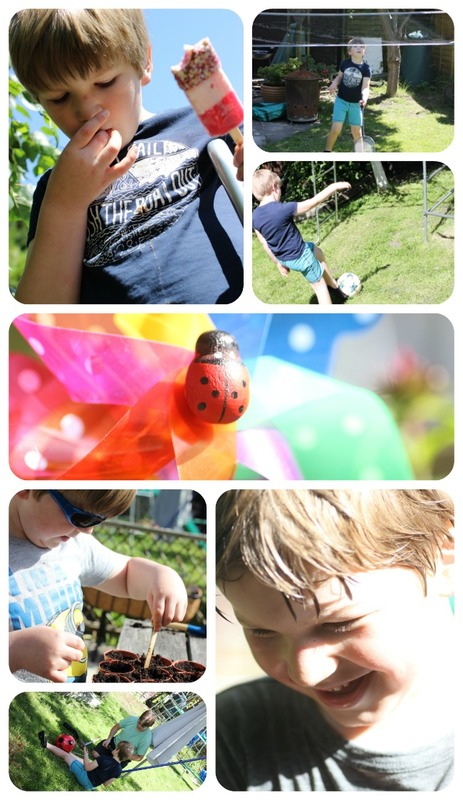 And it's these ordinary moments which make Summer memories. fab ice lollies obviously feel the same as we do, and that's why this Summer they've launched their Sprinkles of Summer Fun campaign. The aim of this campaing is to celebrate the Summer and bring together all parts of the season that make it so much fun. To add some sprinkles of fun to Summertime, fab is giving fans the chance to win prizes that will make summer even better! Head over to fab’s Facebook page, where there will be the chance to win your ultimate summer of fun, with chances to win amazing prizes including a BBQ with a built-in pizza oven and a family-sized tent. I'm off to join the boys in a game of badminton, why should they have all the fun?! Fan photos (no pun intended there!). I really do want some fab lollies now though! Celebrate your favorite summer memories with your kids by breaking out the flashlights to play tag and other fun games in the backyard all night long. Whether it's kick the can, ghost in the graveyard, capture the flag or a good, old-fashioned game of hide and seek, backyard games are a great way to get the whole family to unplug and enjoy summer evenings together.